okay let's first get things straight, this is NOT a valentine's post. i promise (but i will do something valentine-ish in february #sorrynotsorry). 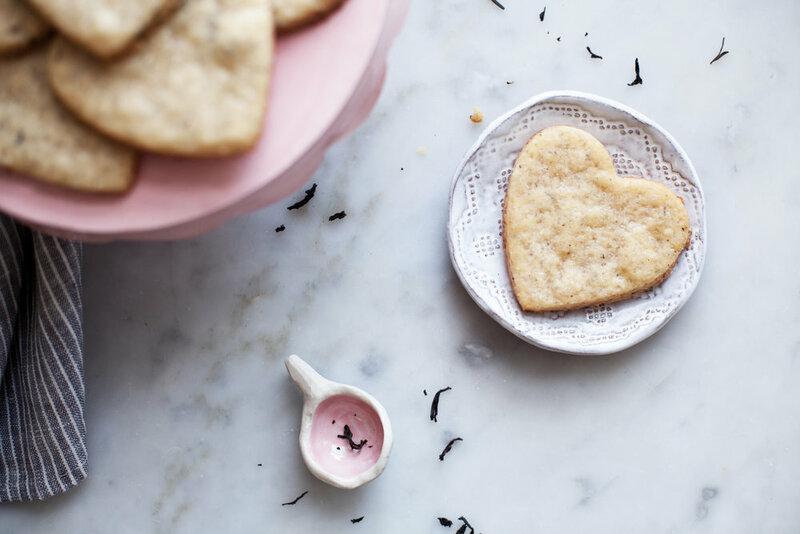 i know it is only the beginning of january, but i had the urge to bake some shortbread cookies (holiday withdrawal) & i just love heart shaped cookies. 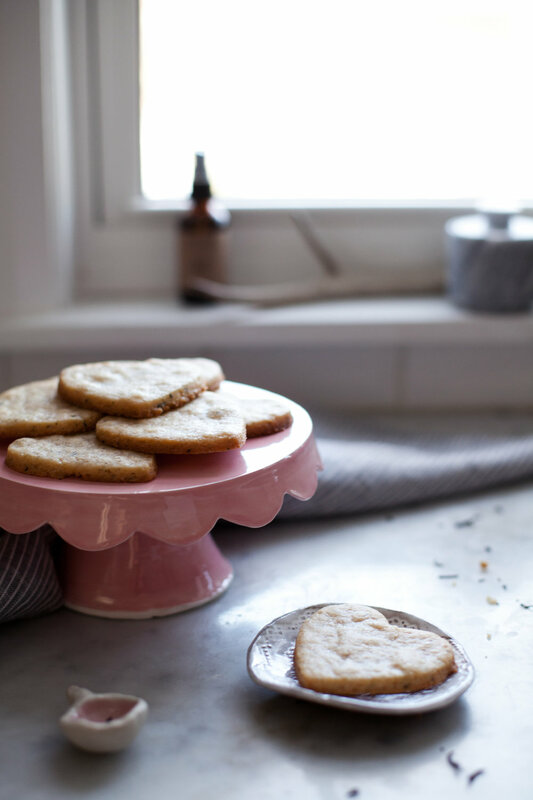 it seemed even more fitting because these are such a dreamy shortbread cookie recipe with the addition of the earl grey. i used this double bergamont tea to give them a maximum earl grey flavour! these are truly the perfect cookie to serve with your tea. now that we have cookies let's go over some new year plans, shall we?! i didn't want to bombard everyone with a cheesy 2016 inspirational recap post or both my personal & business goals for 2017 BUT i would love to give you a heads up on what i have planned for hey modest marce this year. up until now it has mainly been food focused, but since purchasing our first (& hopefully forever) home in the early fall i want to transition things a little. i want to show more lifestyle posts including all the different interior designs i have been working very hard on! linens, brass, paints, wallpaper (so much wallpaper) & so on. cheers to 2017 & all the fun things i have planned! i hope you are as excited as i am. p.s. i have my first design sponge feature coming up this month showcasing both the great room & the powder room. i am very, very, very excited about it. in the bowl of a stand mixer with the paddle attachment beat butter & raw sugar until just combined. add in vanilla extract. sift in ground earl grey, flour & sea salt. beat until dough comes together. if dough is crumbly, add in the brewed earl grey tea one tablespoon at a time until you get the desired consistency. roll out on floured surface & shape into a disk. wrap in plastic & refrigerate for one hour. once dough has chilled, roll out on a floured surface to ¼ inch thick. use desired cookie cutters to create cookie shape. bake at 350 degrees for 10 minutes, or until the edges JUST begin to brown. let cool to room temperature. p.s. 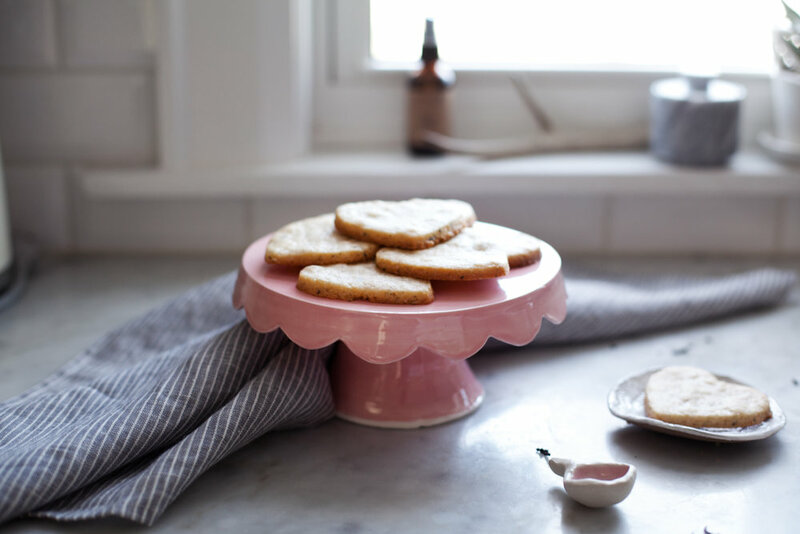 cutest pink & grey ceramics by anna wallace ceramics including the dish, pinch spoon & cake plate!